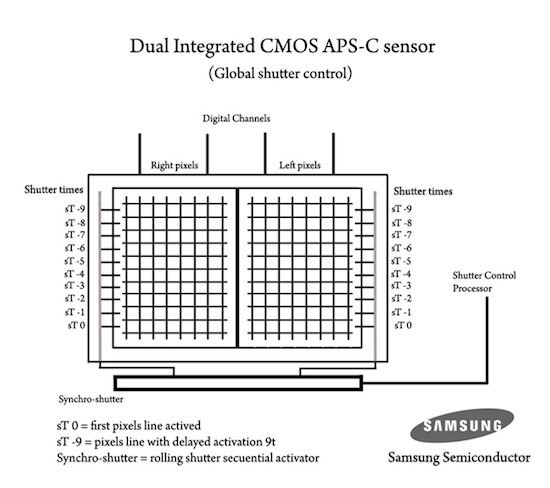 "Two CMOS sensor on the same chip. This concept apply to 12.4MPx APS-C CMOS sensor. The sensor integrates noise reduction circuits and 4 “Digital Channels”, two for each half-sensor. Each half-sensor has 6.2MPx with a speed transfer of 8.2fps through Global Shutter, whole sensor has 12.4MPx with a total transfer rate of 8.2fps. 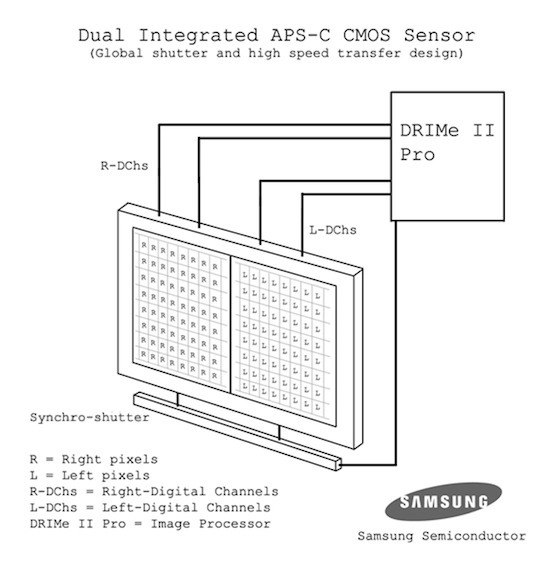 Both half-sensor are activate and synchronized by “Synchro-shutter” device to the same exactly time and the information from both half-sensor is drained through 4 digital channels to the image processor. - less static interference (digital channels and just 2 per half-sensor)"